Here are my Golf Ball Flowers that were a gift! I LOVE them! GREAT CHEESE BALL FOR THE HOLIDAYS AND ANYTIME! Orange Box Gets New Life in My Cupboard in Purple! I Painted this Box Purple because this is the Spray Paint that I had on hand. Thank You to All That Served Our Country! I had hundreds of these plastic hangers so I put them in my garage sale...did they sell???? 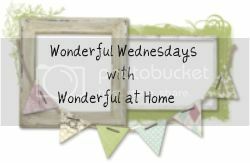 I am always looking for ways to make my garage sale run smoother and easier! One of the most often asked questions is "What so you do with all the stuff that you DIDN'T SELL at the garage sale?" THIS CHICK LOVES GARAGE SALE GROOVE! 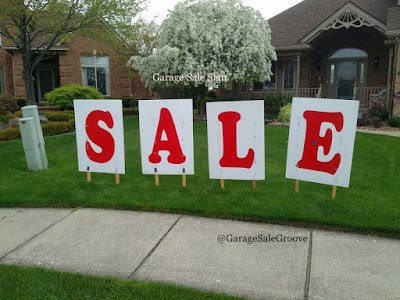 Today GARAGE SALE GROOVE Celebrates 200 Posts! Simple Changes made a Completely NEW Modern Deck! FALL INTO THE GARAGE SALE GROOVE!! Take in the LAST of the GARAGE Sale Season! EASY FRESH RASPBERRY PIE (NO Jello USED)! Fresh Raspberry Pie...like Grandma used to make! DO I NEED TO PRICE EVERYTHING IN MY GARAGE SALE? The Simple Answer is YES!! Wall Art that Needed a Personal Touch! 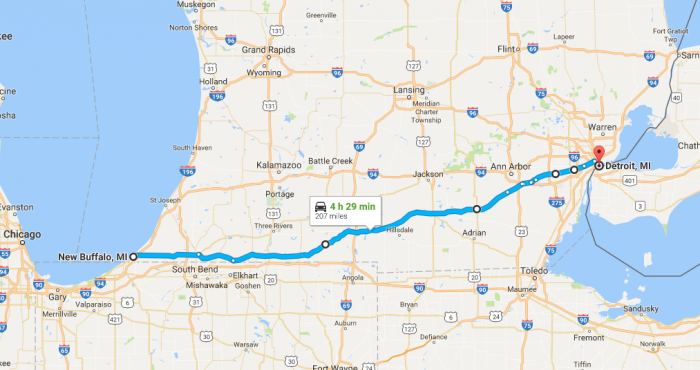 ARE YOU READY TO GARAGE SALE for 180 MILES?? FRESH BLUEBERRY PIE~EASY TO MAKE!! Fresh Blueberry Pie is a FAVORITE around my house...How about yours??? PARTY IDEA~KEEP THE DRINKS COLD!! Helpful words to remember in everyday life as well as when you are hosting a garage sale. This Chick is ready for EASTER and Garage Sales!! Personalized Water Bottles for ANY Occasions! It’s no secret that people coming to a garage sale are looking for a good deal. They’re hoping to find treasure amongst someone else’s “trash” and expect to walk away paying as little as possible for something they really want or need. And since these people are looking for the garage sales with the best deals, what deal beats free? Believe it or not, by offering freebies at your next garage sale, you can actually attract more people and in turn, make more money. Here are a few creative ways the free stuff can actually turn into a profit for your next Saturday morning sale. Knowledge is power, and people love the opportunity to get free advice or info, so why not use your garage sale as a way to share your wisdom and expertise with the community? If you’re an expert in a particular field, offer free advice or informational brochures that people could use. For instance, a realtor in Miami may give shoppers a copy of the Sky Five Properties lease purchase guide to shoppers who are looking to buy a new home, while an engineer could offer to answer commonly asked questions about technology issues. The Calendar says it is SPRING!! SIGNS THAT ATTRACT BUYERS TO YOUR GARAGE SALE!! 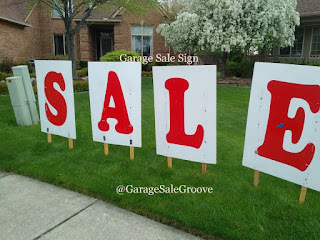 Large, Bright, Readable signs are a MUST for a Garage Sale! CALIFORNIA SALAD with a Homemade DRESSING~EASY AND A FAVORITE! CALIFORNIA SALAD is an Impressive Salad but so EASY to make! We all have things that we are NOT going to use anymore...so have a Garage Sale to get ride of the clutter and put some Ca$h in your pocket. 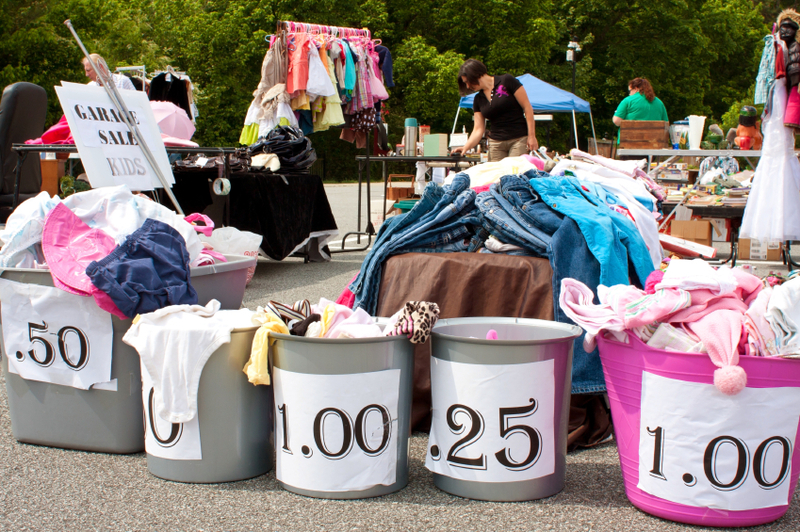 35 of the LONGEST Yard Sales in the U.S. This Chili was originally Vegetarian BUT if you NEED a little meat, you can add that too.